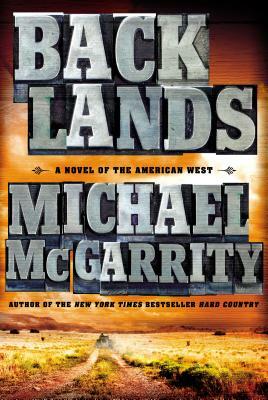 An expansive, epic tale like Philipp Meyer's "The Son," and in the wonderful storyteller vein of Larry McMurtry's "Lonesome Dove," McGarrity's "Backlands" showcases his keen eye for historical detail, awe-inspiring scenery, and the bitter harshness of life on the last vestiges of the twentieth-century frontier West. Michael McGarrity returns with the second installment of his sweeping, richly authentic "New York Times" bestselling American West trilogy set in the raw, untrammeled New Mexico backlands during the Roaring Twenties, the Great Depression, and World War II. "Hard Country," the first novel in the Kerney family trilogy and the debut prequel to his national bestselling Kevin Kerney crime novels, was critically acclaimed for its authentic, gritty realism; its sprawling, engrossing story; and its compelling, engaging characters. An instant hit on several national bestseller lists, "Hard Country" continues to attract an overwhelmingly positive response from critics, booksellers, and readers. "Backlands" continues the story of Patrick Kerney; his ex-wife, Emma; and their young son, Matthew, shortly after the tragic battlefield death of their eldest son, CJ, at the end of World War I. Scarred by the loss of an older brother he idolized, estranged from a father he barely knows, and deeply troubled by the failing health of a mother he adores, eight-year-old Matthew is suddenly and irrevocably forced to set aside his childhood and take on responsibilities far beyond his years. When the world spirals into the Great Depression and drought settles like a plague over the nation, Matt must abandon his own dreams to salvage the Kerney ranch. Plunged into a deep trough of dark family secrets, hidden crimes, broken promises, and lies, Matt must struggle to survive on the unforgiving, sun-blasted Tularosa Basin. MICHAEL MCGARRITY is the New York Times bestselling author of Hard Country, the Anthony Award-nominated Tularosa, and eleven other bestselling Kevin Kerney crime novels. A former deputy sheriff for Santa Fe County, he also served as an instructor at the New Mexico Law Enforcement Academy and as an investigator for the New Mexico public defender s office. He lives in Santa Fe with his wife, Emily Beth." — N. Scott Momaday, Pulitzer Prize winning author of House Made of Dawn, The Way to Rainy Mountain, In the Bear’s House, and others. — Max Evans, author of The Rounders, The High Lo Country, Madam Millie, and others.